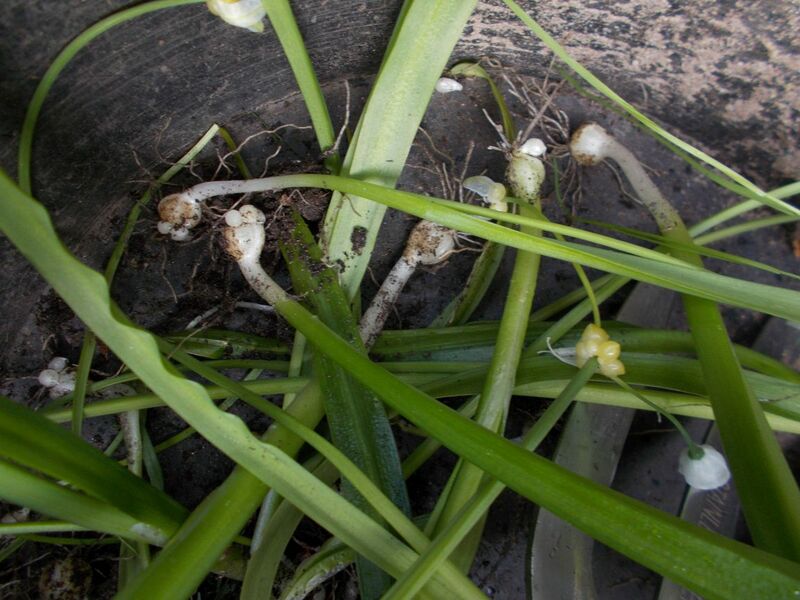 Easily introduced to the garden when lifting and dividing Snowdrops from another area; Allium paradoxum is an invasive coloniser of cultivated ground. This form of wild garlic has a mild smell when the foliage is crushed. 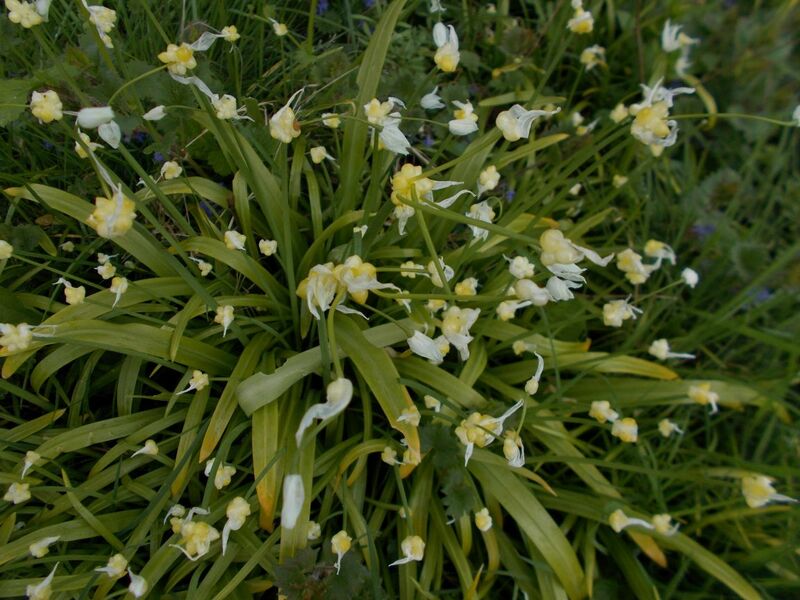 It multiplies by division of small bulbils that separate so readily when forked out of the ground. 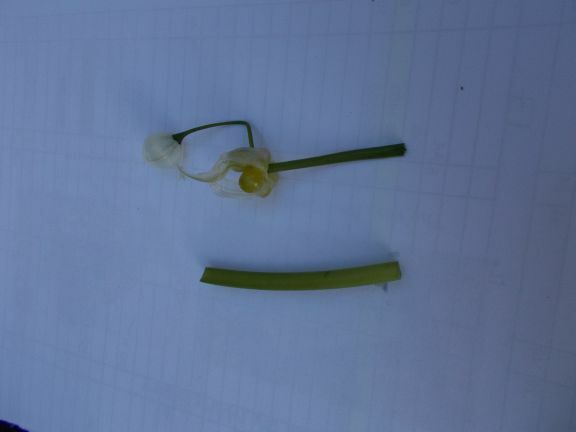 It also gets a second chance to colonise with the dropping of multiple bulbils produced on the sturdy triangular in section flower stalk. Use a hand fork and carefully tease out the rogue foliage, flower stalk and each and every bulbil to control the spread of this native to the Caucasus and Iran. Ideally place on a concrete slab, crush with the back of a spade and allow to desiccate thoroughly. Placing directly on a compost heap will not kill the bulbils as not enough heat is generated in domestic heaps. It will only serve to continue their spread.